It’s been a busy weekend. 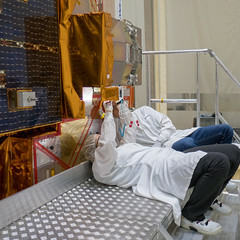 Following the satellite assembly being joined to the Rockot Breeze upper stage on Friday, the next task was to remove all the red tagged items. Parts that have to be removed before the satellites are encapsulated are marked with red tags. There were 83 red tag items on each satellite, with 28 for the thrusters alone on each satellite. 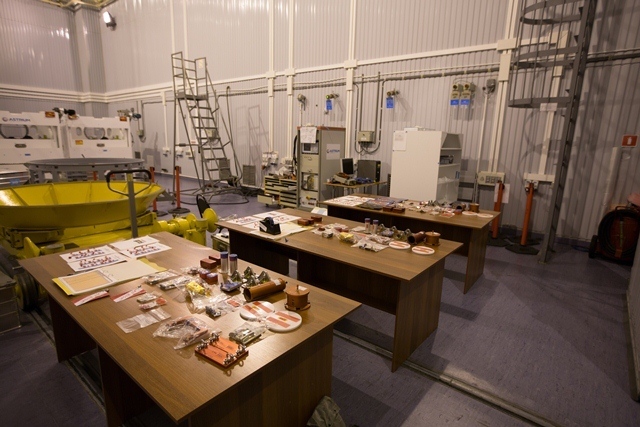 All the items were laid out on a table, one table for each satellite so they could be counted and recorded as having been removed. Sylvain (ESA), Klaus and Lutz (Astrium) had a very busy day counting and recounting to be sure everything was removed. 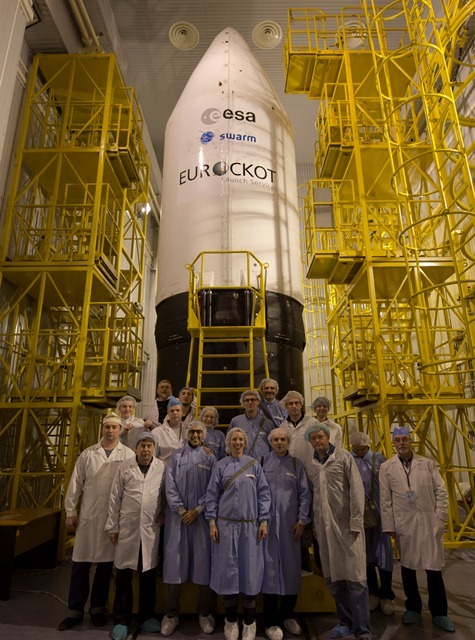 The green tag items, 18 per satellite, were attached to the satellites and the list of completion signed off. Next, electric connections were made for the solar arrays and checked. Everyone in the team took the opportunity to climb to the top of the scaffolding and have one final close look at the satellite before encapsulation. The last section of multilayer insulation was sewn around the base of the adapter to complete the connection to the Breeze. Since then the satellites have been encapsulated in the fairing half shells, which protects the precious cargo during launch. 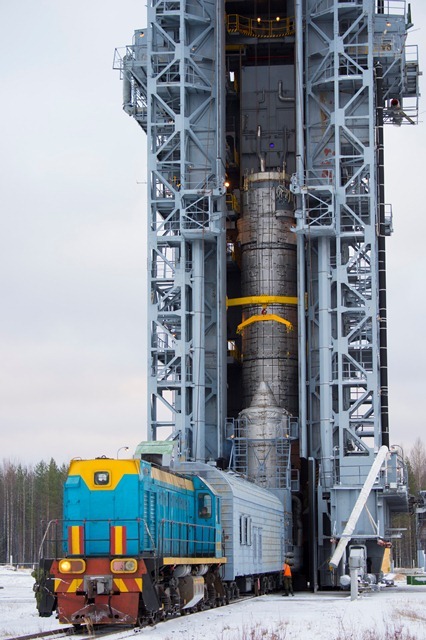 Today, the satellite assembly was wrapped in thermal covering and transported by train to the launch tower. It was hoisted up to the top of the tower and then gently lowered to join the lower stages of the Rockot launcher. Very chilly outside – the ground is covered with snow!